Cover a baking sheet with parchment paper. Slice bananas into ¼ inch slices and lay in a single layer on the baking sheet. Freeze for 2 hours. 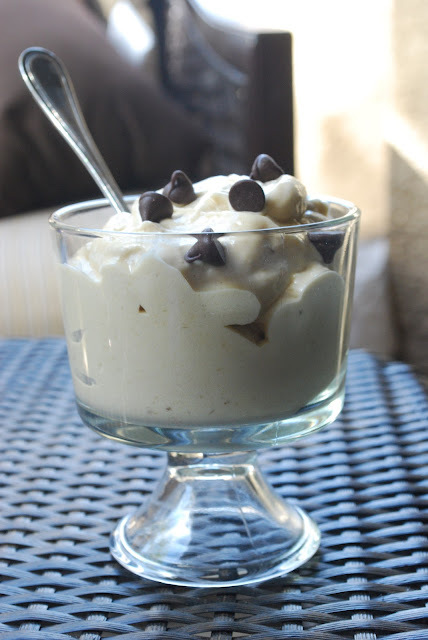 Put bananas in a blender or food processor and pulse until bananas resemble soft serve. You may have to scrap down the sides of the blender or food processor a few times, but mine came together quickly and with little scraping. Add peanut butter and pulse a few more times to combine. Serve immediately with chocolate chips.